In contemporary education, there is increasing interest in the potential of mindfulness-based training to improve mental health, behavior, and school performance, as part of fostering contemplative pedagogy that can positively impact the lives of young children. However, practice-based knowledge is lacking about how to implement mindfulness-based training effectively at schools. Thus, the key question motivating our study was how we can create school-based educational programs that cultivate mindfulness in young people. 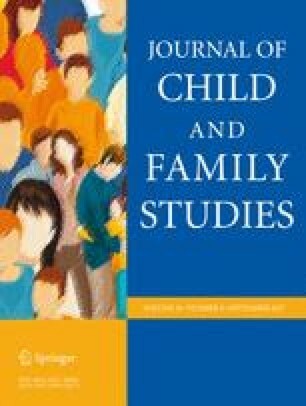 The study, a retrospective, qualitative analysis of 188 letters written by 112 elementary students who participated in a classroom-based mindfulness-based training curriculum in the mid-1990s, provided an unique opportunity for gaining important insights into ways in which the students viewed the mindfulness-based training curriculum, themselves, and each other when undertaking that training. Applying the principles of qualitative analysis, each letter was coded, and codes were constantly compared, and from this five thematic categories emerged about central aspects of the process and implementation of that mindfulness-based training. They were: (1) Importance of a sense of place; (2) We are more of a community; (3) Actively taking it on; (4) How I relate to others; and (5) Getting in touch with the inner self. A key finding is that the mindfulness-based training program was a sustained process facilitating the cultivation of a range of students’ skillsets, and not simply reduced to attentional techniques acquired in a finite time slot in an otherwise unchanging classroom. This finding has important implications for the way mindfulness-based training is conceptualized and implemented in contemporary school settings. The online version of this article (doi: 10.1007/s10826-017-0761-1) contains supplementary material, which is available to authorized users. The authors are most grateful to 1440 Foundation, Mindfulness Connections, and HopeLabs, for their financial support of this study. J.C.: designed and executed the study, conducted the data analyses, and wrote the paper. E.M.A. : conducted the data analyses, and assisted with the writing of the paper. D.L.L. : designed the study, assisted with the execution of the study and the writing of the paper. D.R.V. : obtained the funding for the study, collaborated with the design of the study, and assisted with editing of the paper. Y.N. : obtained the funding for the study, designed the study, and assisted with editing of the paper. The content is solely the responsibility of the authors and does not necessarily represent the official views of the funders. The funders had no role in the conduct of the study, collection, management, analysis and interpretation of the data, and preparation, review, or approval of the manuscript. This article is dedicated to the memory of Ms. A. All procedures performed in studies involving human participants were in accordance with the ethical standards of the institutional and/or national research committee and with the 1964 Helsinki declaration and its later amendments or comparable ethical standards. For this type of study, formal consent is not required. The interdisciplinary research team consisted of five researchers from various fields, including the social and health sciences, counselling psychology, neuroscience and cognitive science. The University of Utah Institutional Review Board approved all aspects of the study. The principles of confidentiality and anonymity were upheld, including the names of the school, students and teacher, and the exact location of the school. Biegel, G., & Brown, K.W. (2010). Assessing the efficacy of an adapted in-class mindfulness-based training program for school-age children: A pilot study. White Paper. Available online at: http://www.mindfulschools.org/pdf/Mindful%20Schools%20Pilot%20Study%20Whitepaper.pdf. Making Sense of Place. (2014). Inc. http://www.makingsenseofplace.com/about-place.htm. Accessed 24 Dec 2014.